We had a great meeting last night at Maker Works! If you weren't there, then you missed out on scoring a birthday treat from the Booze Bucket. 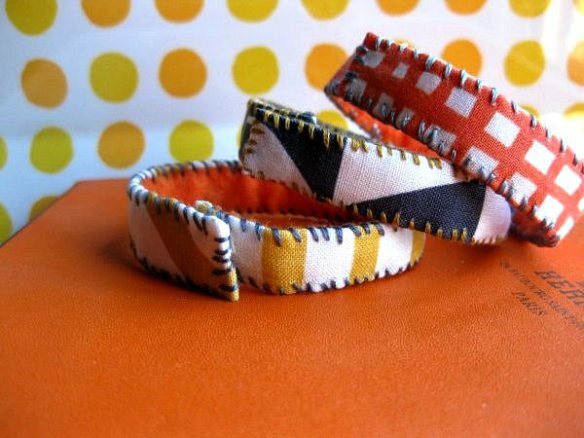 Sew-in on March 10: 12 - 4pm at MakerWorks. Next Meeting's March 27- Please keep watching the blog or our facebook page for the Meeting location. We may be heading towards Pink Castle Fabric's new home! Guild Retreat: If you are interested in attending the Summer A2MQG Retreat, please read this post. The deposit due date was moved up to the MARCH MEETING in order to get an accurate head count for our guild members who plan on attending. Please give your $50 deposit to Ginia. If you are writing a check, please make it out to the Hankerd Inn. We will then open up the remaining spaces to other guilds (Toledo, Holly from Bijou Lovely, Cincinnati, Detroit...). Once the barn has reached capacity, we will close off reservations. Ginia will call the Hankerd Inn and determine how many beds are available in the barn. She will also see what the cost would be should those attending vote to handle their own meals. Once a guest list is finalized, those attending will vote on meals and organize transportation. Quilt Con: Those who attended the conference had a great time! Our guild had 7 quilts in the show and was very well represented! 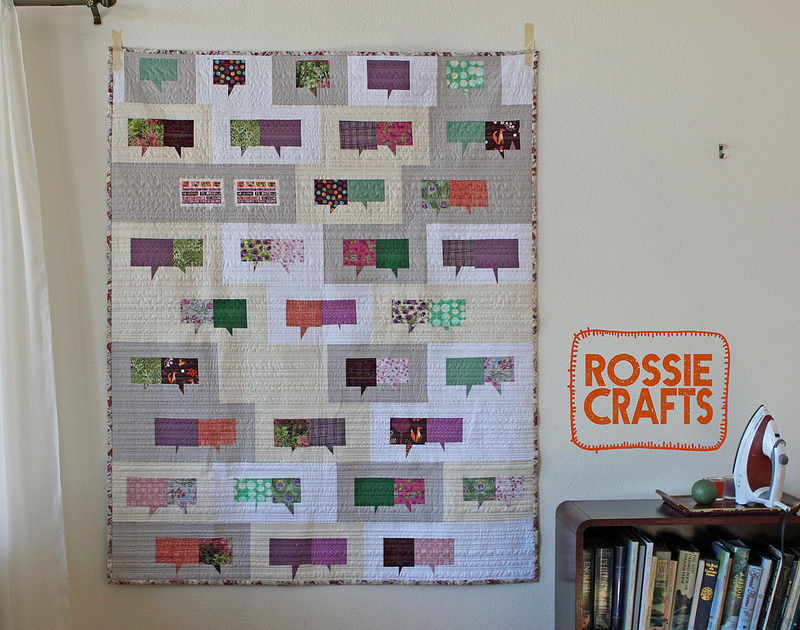 One of Rossie's quilts will be in the traveling show! 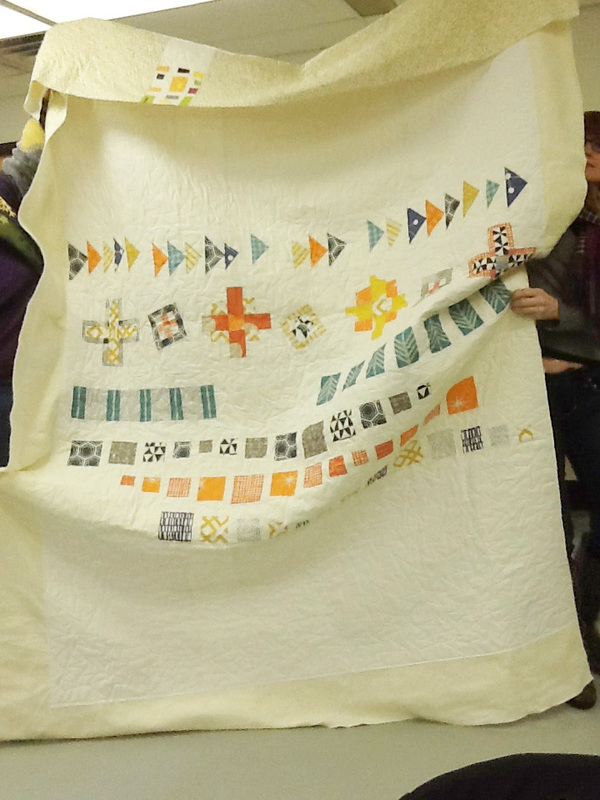 Craftsy has several lectures from QuiltCon posted online for free. 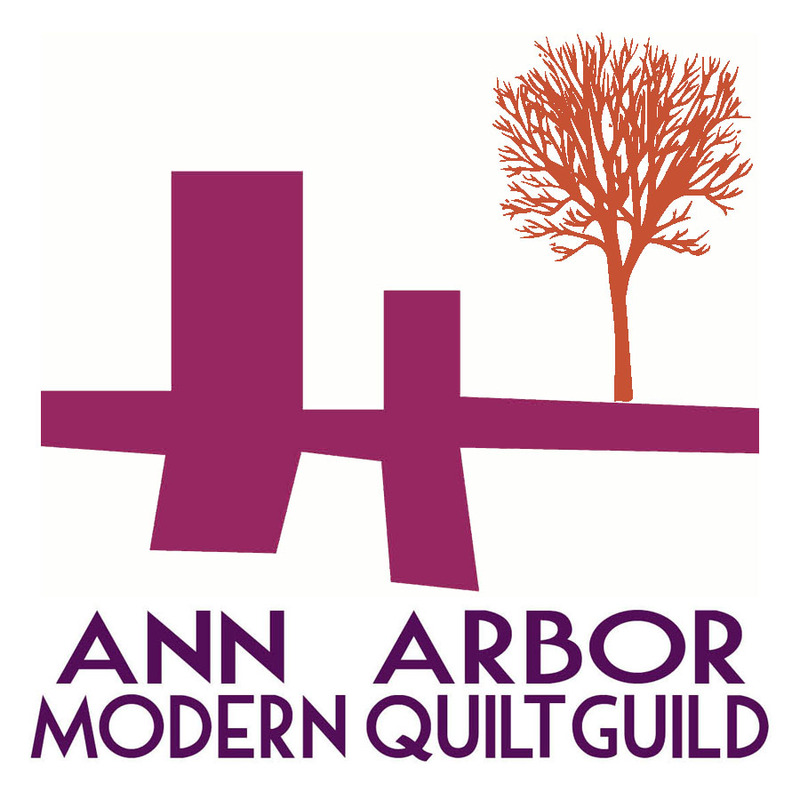 Membership Dues: Those who chose to become a member of the Ann Arbor Modern Quilt Guild paid $35 to our Treasurer (Jen) and filled out a membership form and gave it to our VP of New Membership (Rossie). Non Profit Status: Our check has been cashed, but we are still waiting on formal approval from the state for becoming a Non-Profit in Michigan. There are still some fabrics available from Brenda. 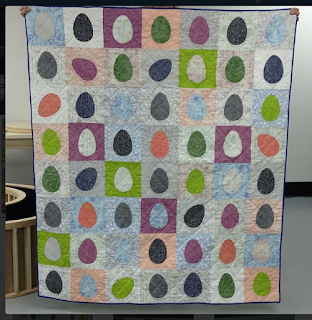 Kathy did an amazing job quilting our two quilts. Once the binding is done, we are interested in taking pictures in distinctly Ann Arbor settings. How should we auction these quilts? Ebay - through their charity site? 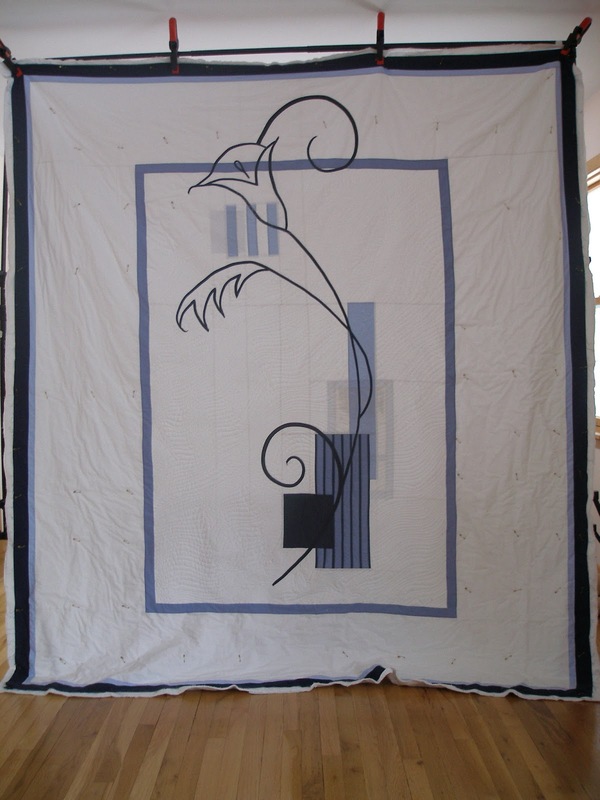 Should we submit the quilts to an auction that is accepting goods for donation? If you have any ideas, please keep a look at your email for continued brainstorming. There was a discussion about touring Motowi tile for quilt inspiration. Anne D. has a contact at the company who may be available to give us a private tour. Bylaws: Jenna read through the bylaws and the guild provided a couple of revisions. There was a vote and the bylaws were approved with the revisions unanimously. Our bylaws are posted on this site. Look at the tippy top! It's a page tab. National Quild Dues? The mothership mentioned at QuiltCon that there will be dues collected from our local branches that would like to become formal members of the National Quilt Guild. The details are still unclear and we will post more information once it becomes available to the public. - For leaders - access to a CRM management system, total website access, tracking membership, newsletters, social media, etc. Concerns were raised over obtaining 501(c)(3) status through MQG - paying MGQ every year vs. one time $400 fee. Will there be an option to join the National Guild without being under their 501(c)(3) umbrella? We do not know yet. The MQG also said that funds earned from QuiltCon have gone towards a major revamp of the website, obtaining and maintaining CRM software, and other things! A Chairperson position was created: Guild Librarian. Amy S. volunteered to be the chair, and was appointed by the Officers. 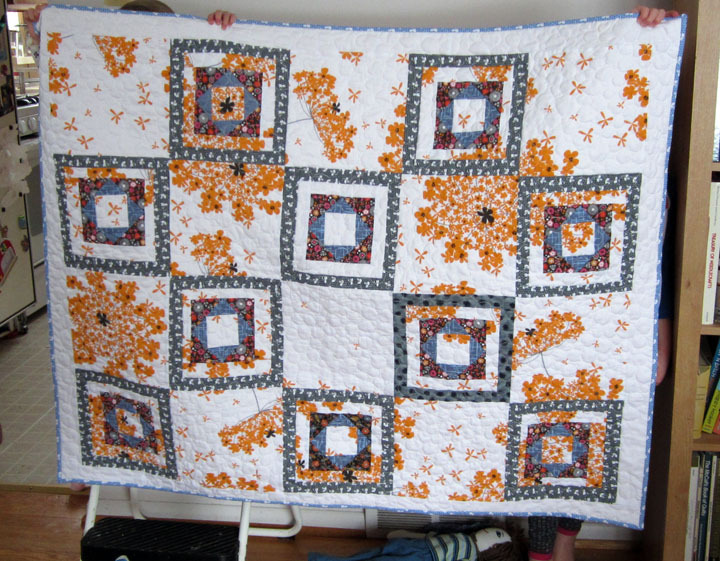 If you are interested in donating quilting books to our guild library, please bring them to the next meeting. Amy will draft a Library Policy that will include the note that only A2MQG Guild Members may borrow books. Round Robin/Swaps Chairperson Dorie asked if there was any interest in doing other swaps besides the Round Robin - there was! 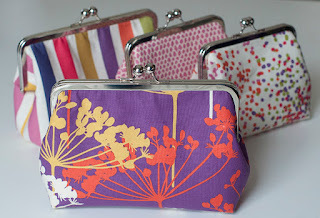 And she asked if we would like to do a fabric swap in April - we would! More details to follow. ROUND ROBIN blocks were shown and rotated. 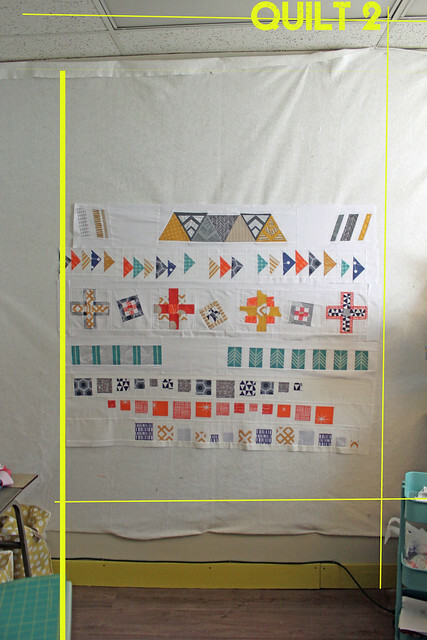 "Modern quilts and quilters use asymmetry in quilt design." This point was deemed true and uncontroversial. 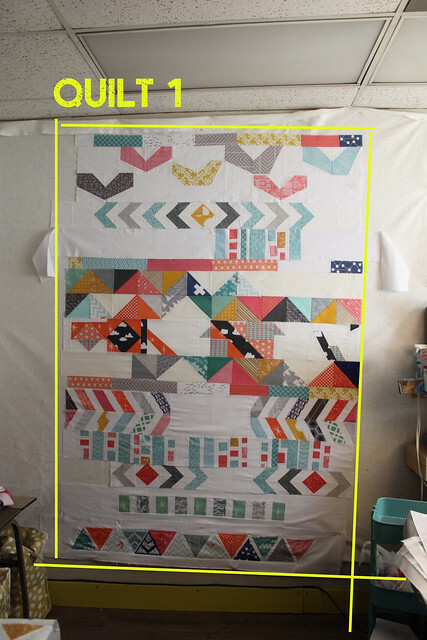 QUILT HELP: Amy S. asked for advice on a layout for a quilt-top. 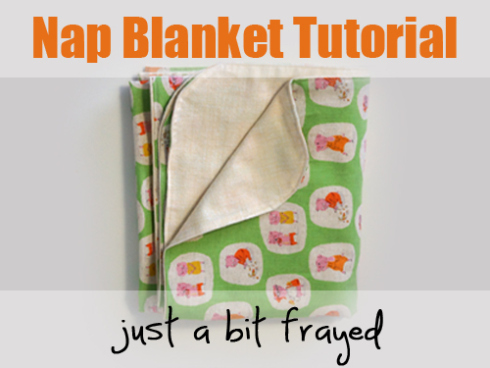 Vicki asked for advice on how to sew parts of her fabric portfolios together. 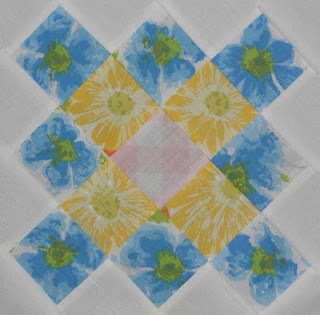 SHOW AND SHARE: Quilts and quilt blocks were shown and received adequate praise. There will be a meeting tomorrow (Feb 27) at 6:30pm at MakerWorks. If you are participating in the Round Robin, please bring your projects. For the few of us pitiful souls who were not able to attend QuiltCon, I've got great news! The Modern Quilt Guild has posted several lectures from the conference online for FREE at Craftsy! Hello all! I hope those of you who are at QuiltCon are having a BLAST! I love seeing all of the pictures pop up on Instagram. Looking forward to seeing everyone at our meeting on Wednesday - 2/27 - at 6:30pm at MakerWorks. The next Retreat is scheduled for the weekend of June 28, 2013 at the Hankerd Inn in Pleasant Lake. The cost is $135 per person. This price includes your room, use of the facilities, dinner on Friday, breakfast and dinner on Saturday, breakfast on Sunday. There is an extra charge of $35 if you would like to come on Thursday, but this does not include any meals. Check in time is noon on Thursday or Friday and check out time is 2:00 pm on Sunday. **UPDATE - The deposit is $50, due to Ginia at the MARCH meeting for our A2MQG Guild Members. The balance is due at check out. In order to get the barn, we must have 10 or more people. If we have less than 10 we will get one of the smaller houses. This is the only weekend available between May and September except Labor Day weekend. I would like to get an idea of how many people are interested, so please check your calendars and send e-mail to gsearsATmed.umich.edu if you are interested in attending. If the group is too small, we may want to consider a date in the Fall. 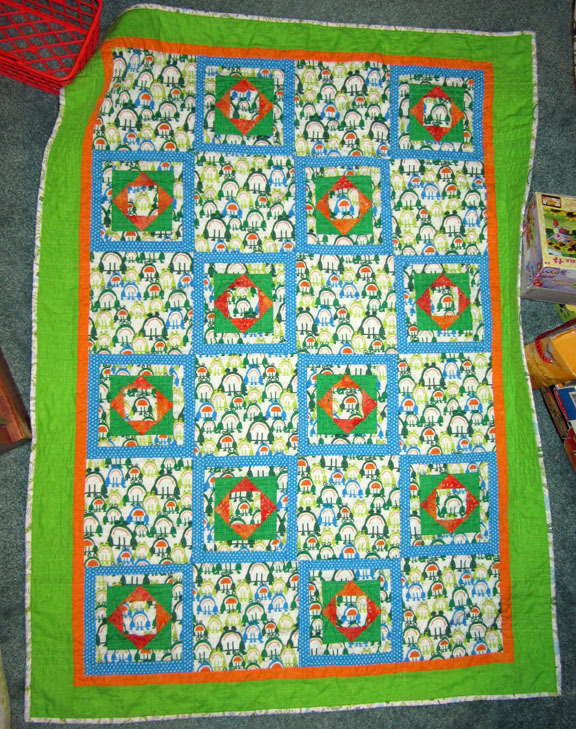 and this adorable Ed Emberley Frog quilt! ... and how much do I love her post on how a quilt inspired an outfit?? 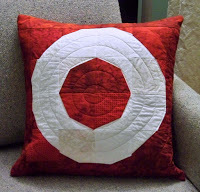 If you're still in the Valentine's Day spirit, Debbie has re-posted her Hug and Kiss pillow tutorials! Did you catch that Pam's doing a pattern and book destash? 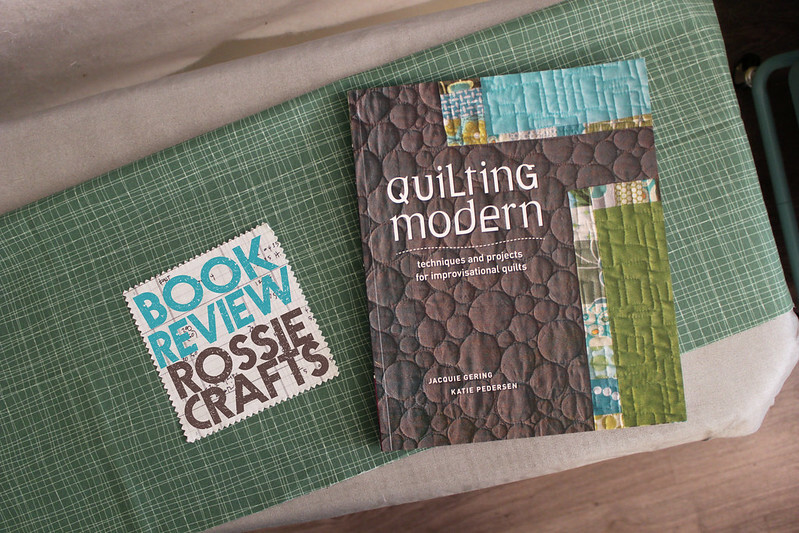 Rossie did another great book review-- this time on Quilting Modern, which I (Kris) found super useful! 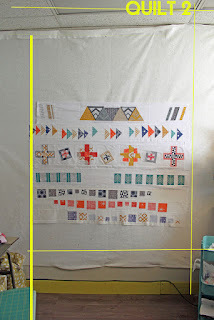 Dorie posted about the awesome quilt she was working on at the retreat! 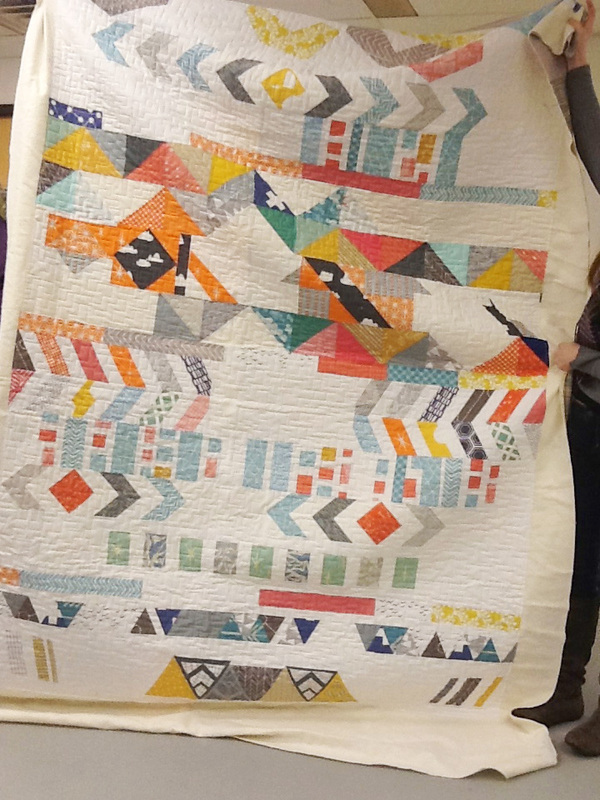 It's even made from Jenna's Postive Space pattern, so it's filled with extra A2MQG talent! 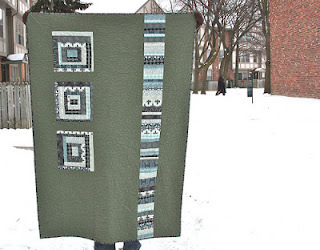 Ronit made a beautiful baby quilt with shades of emerald fabric. I (Kris) love how the orange binding pops! Keep quilting, everybody! Have a wonderful weekend. On Tuesday night the A2MQG officers signed the articles of incorporation for becoming a non-profit in the state of Michigan. We also reviewed a draft of our Bylaws that will be presented to the membership for approval at the February meeting. YAY! The Weekly Round-Up is back! Like a phoenix emerging from the ashes, we have new life thanks to the support of Kris! So from now on Kris and I (Jenna) will share the load and keep everyone informed with what's going on in the blogosphere of our guild. We'll be looking at blog posts from Fridays-Thursdays that feature quilts, quilts in progress, "think pieces," and other sewn projects. 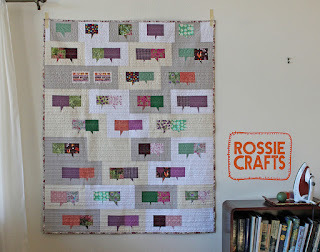 First of all, if you haven't seen them yet - Rossie has cooked up two great quilt tops for our Spoonflower quilts! I'm doing a series on my blog learning a bit more about the history of Modern Art. 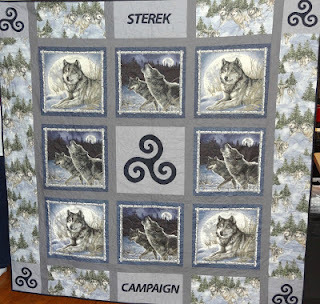 Pam finished up a Teen Wolf inspired quilt for an online charity auction. 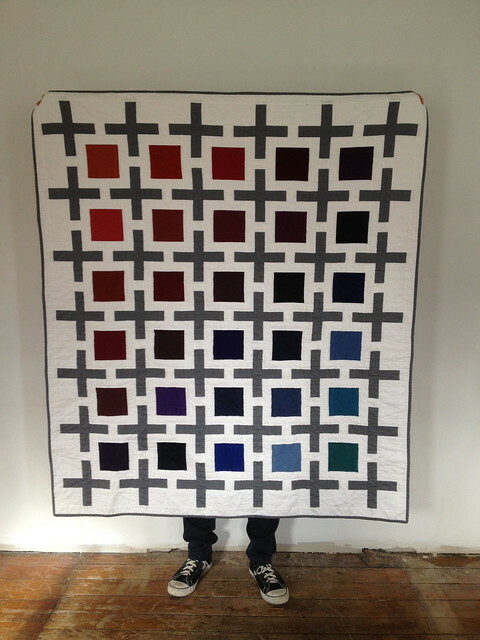 Kris finally posted about finishing up an improv quilt that worked on at the retreat. Ronit's finished up a sweet green baby quilt. We're really excited about bringing this series back! So keep checking Friday mornings for our Round-Ups and keep blogging!! 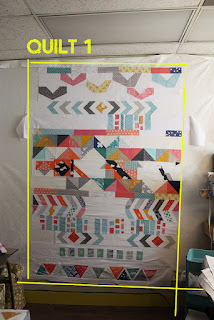 Given how many rows I have, I do believe we have two twin-size quilts on our hands (approx 62" x 95"). 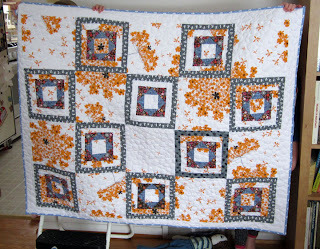 Quilt 1 will be made up entirely of our rows. 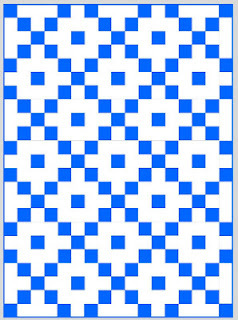 Quilt 2 will have solid white above and below the rows. 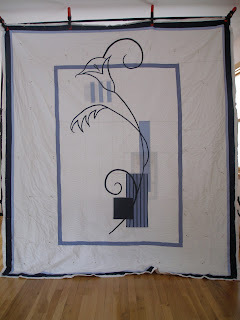 It seemed to work best to pull out the more monochromatic and intensely piece rows and let them sing in white space in Quilt 2. I know that I still need Dorie's row, but I think that is the only lingering one remaining. Does this seem good to everyone? I'll be back in the studio on Friday and I'm planning on piecing this at that time!